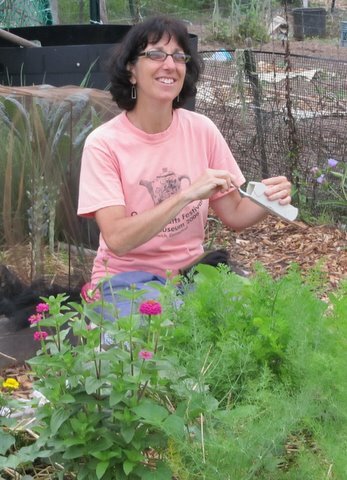 Susan Levi-Goerlich wasn’t a happy gardener. Something was eating her snap peas about three inches above the ground—and then chard leaves began to go missing. Hmm, she thought, mice. 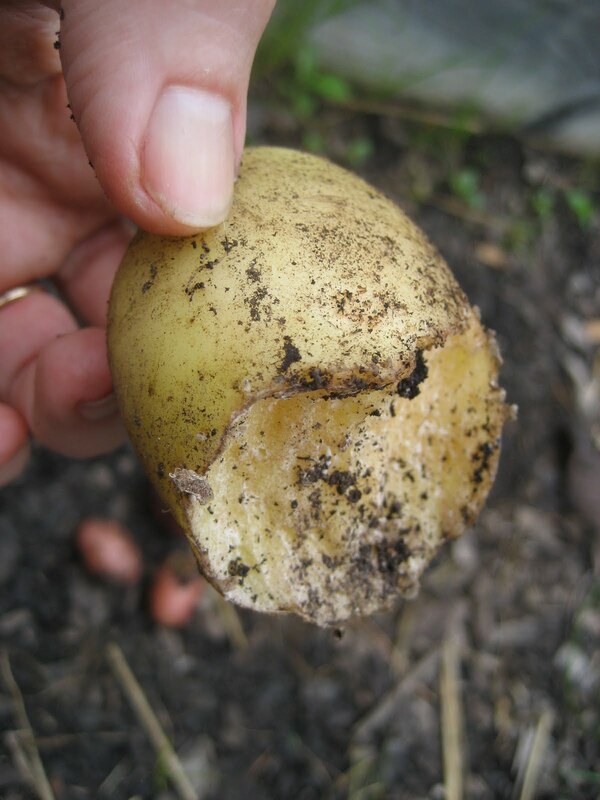 Then—both on the same day—a beet and a potato plant fell over. Susan, who gardens at the West Side Community Garden of the Columbia Gardeners, Inc., checked the potato plant that had fallen over and discovered that the young potatoes had been eaten underground. Voles, also known as meadow or field mice, she concluded. They’re cute, stocky, short-tailed mice-like creatures that have a sweet tooth—especially for sweet potatoes—and, as Susan found out, for potatoes and other root vegetables and some above-ground veggies too. 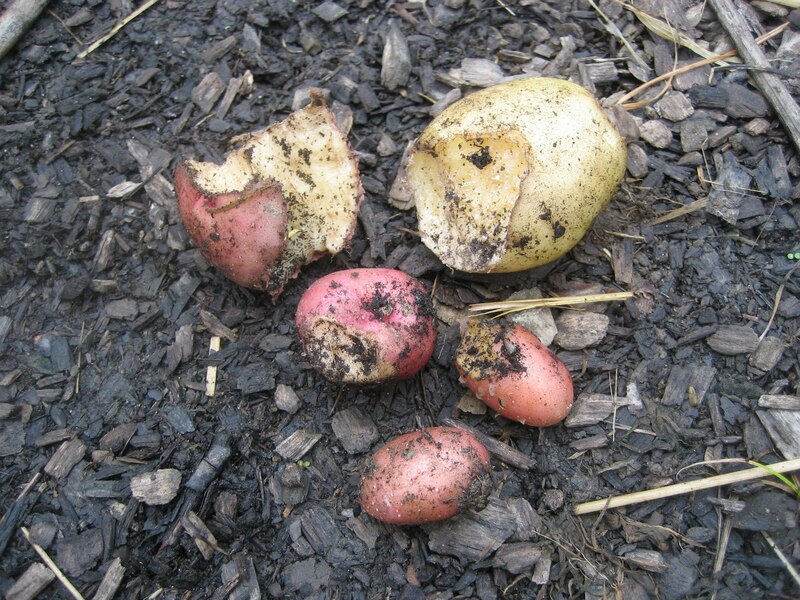 Susan confirmed her suspicion about voles by emailing a query and a photograph of damaged potatoes to the University of Maryland Extension’s Home and Garden Information Center, which recommended baited snap traps as a remedy. Susan put out some humane traps—live traps—because she doesn’t want to endanger birds that might be attracted to baited snap traps. Susan likes the larger traps because she thinks voles are more likely to enter them. She showed me how she baits them with a mix of peanut butter and rolled oats and then set them into her garden near her beets. Susan probably has a grand battle on her hands. If she’s caught four voles in her plot and seen more, how many more live in the many plots at West Side Community Garden, which the voles probably call West Side Five-Star Restaurant, with plenty of hiding places and a couple of acres of soft gardening soil in which to burrow. Baited humane traps? Snap traps? Where are all the hawks, foxes, and blacksnakes when you really need them to eat voles for lunch? 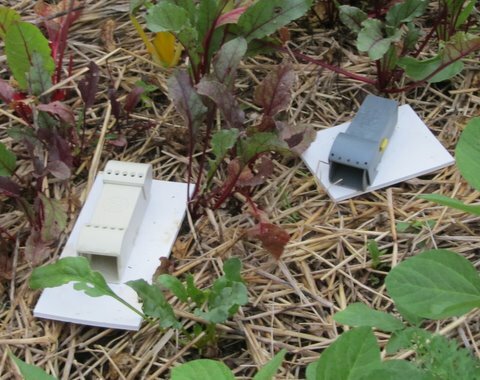 For small areas, some gardeners give up on traps and surround vole-vulnerable crops with hardware cloth sunk six-inches into the ground. At their demonstration garden at the Agricultural Farm History Park in Derwood, Montgomery County Master Gardeners show how it’s done by digging a trench around a sweet potato bed and installing a barrier of 24-inch hardware cloth. To access a blog posting about the demo garden that includes a photo of the trench around a sweet potato bed, CLICK HERE. To see a posting that includes a photo of the completed barrier, CLICK HERE. To access information about the demonstration garden, including hours and a map, CLICK HERE.